The Mad Hatter is a mysterious fellow indeed. How did he become so... odd? Has he always shown great interest in hats, or did he find it later in life? How much tea does he actually drink on a daily basis? Whatever the answer may be, we know that the Mad Hatter will always be our favorite Alice in Wonderland character. You can't throw a proper unbirthday party without him! 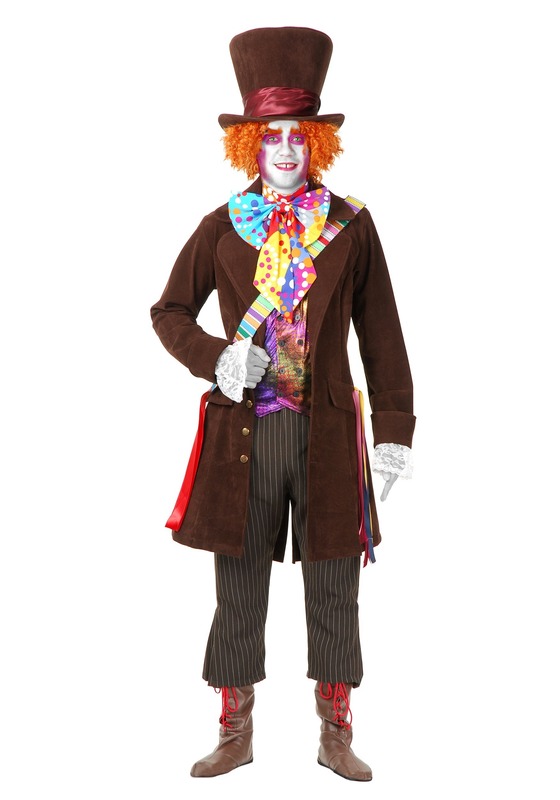 If you've always wanted to be like the Disney and storybook character, it's really quite easy with this Men's Deluxe Mad Hatter costume, we just advise that a little bit of kookiness (and penchant for earl grey) may follow. 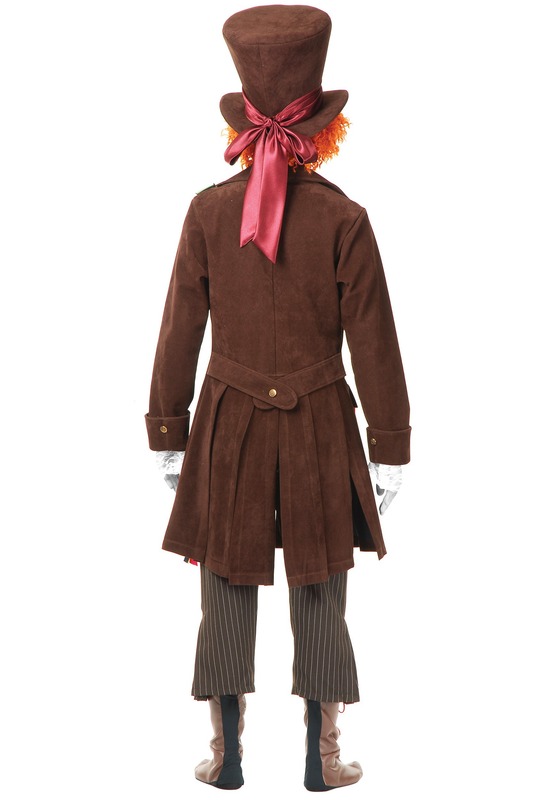 The dazzling Wonderland ensemble includes pants, frock coat, vest front, bow tie, lace cuffs, and a ribbon sash. The jacket has eight non-functional buttons at center front for a double-breasted appearance. When worn under the jacket, lace cuffs give the appearance of a frilly shirt. It looks like it came from the finest finery shop in Underland! There's really no better way to become the Mad Hatter than this, unless you really ARE him already, and you're just looking for a backup wardrobe. Either scenario is fine with us!